We read with interest the letter titled “Hurdle for Law Graduates in Latest CLP Rule” (The Star, 27 December 2016), which bemoans the latest restrictions imposed on the Certificate in Legal Practice (CLP) examination. In the letter, the writer expressed his/her frustration that CLP students would not be allowed to re-register for the CLP exams for a further 4 tries at passing the examination. Instead, they would be limited to one registration, allowing only four sittings of the examination. This, according to the writer, would have the impact of hampering his/her dreams of being a lawyer, to contribute to society, and to make his/her parents and society proud. We write from the perspective of a group of activists, all of whom have obtained their law degrees or have substantial work experience in law firms. Some of us are currently still in legal practice, some of us have left legal practice, some of us have failed the Bar Professional Training Course (BPTC) and/or the CLP, some were from local universities, and some of us have yet to sit for the BPTC or the CLP. In our humble opinion, the crux of the matter is this – the CLP is an exam incorporating the study of Malaysian law for law graduates with foreign degrees. It is a filtering exam, sifting through graduates who are competent to be lawyers, and those who are not. 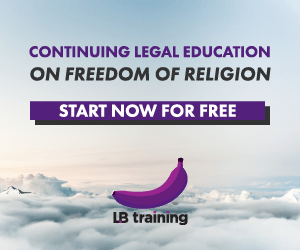 If you speak to senior lawyers and analyse the legal profession today, you will notice that there is a huge influx of new lawyers to the profession, to the extent that the legal profession has more lawyers called to the bar than there are legal positions. Furthermore, senior lawyers and employers often complain about the insufficiencies and lack of skill of young lawyers called to the bar, despite them having passed the requisite examinations, ie: graduates from local universities, as well as those who did the English Bar and/or the CLP. In our humble opinion, if one fails to pass the CLP four times, that individual probably does not have the requisite ability to be a competent, qualified lawyer. As for objections that the CLP is not an appropriate filtering examination that tests whether candidates can be competent lawyers, the remedy for that is to introduce the Common Bar Course, as mooted by the Malaysian Bar, and not to allow candidates to sit for the same examination multiple times. While we admire the idealism of the writer in wanting to give back to society and bring about change by being a lawyer, in reality, the day to day practice of the legal profession does not do that. To give back to society through practising in the legal profession, one must also be a competent lawyer. An appropriate analogy would be the medical profession: if the doctor treating you has only qualified because the standards for their examinations were lowered, will you, as the patient, have confidence in his treatment? We believe that if the writer sincerely wants to give back to society, there are many ways of doing so that does not involve being a member of the legal profession, as what many of us are doing while not currently being legal practitioners. Arguably, these endeavours generate more results than legal practice would. We do not believe that being a lawyer is the only, or even the best, way of “giving back to society”. We also note the implied denigration of local university graduates and/or BPTC students, as they supposedly have an easier time compared to CLP students. Speaking from our varied experiences, being accepted into local universities to pursue a law degree is no easy feat, and having amongst us people who have failed the BPTC, returned to Malaysia to attempt the CLP and passed the CLP at our first attempt, we find that the written examination components of the BPTC are much harder than the CLP papers. For one, the written, knowledge-based components of the BPTC examinations are closed book examinations, whereas CLP candidates can refer to statutes during the examinations. However, we do sympathise with the writer and those in a similar predicament with regard to the retrospectivity of the amendment, especially if it would affect those who previously planned to register to sit for the CLP another four times. We agree that such an announcement at the ninth hour is unfair, and believe that the fairer option would be to implement this for the cohort who wants to re-register next year. We also think imposing a sudden requirement (if the amendments are retrospective) for students to sit for the CLP in four consecutive years, with no breaks in between, is also unfair for students who have planned to do otherwise previously. To conclude, while we wish the writer and those in a similar predicament the best of luck, we believe that to restrict the influx of lawyers to those competent to practice, it is reasonable to restrict CLP candidates to four tries of the examination, with only a single registration allowed. Aida Adibah Anuar, Chang Mei Yen, Daniella Zulkifili, Hoe Jian You, Jane Tai Le Qian, Jason Yong Kok Yew, Lee Shee Pin, Omar Kutty, Pang Jo Fan, Tan Hei Zel, Thoo Suet Mei and others. Posted on 29 December 2016. You can follow any responses to this entry through the RSS 2.0. We are supposed to bring these types of changes in the life of everyone which are being concern. I am glad that someone has been in the front to make the changes in the end. The writers/contributors to this article are either local uni graduates or did their bar. I personally know a few of them. You guys are in no position to comment.